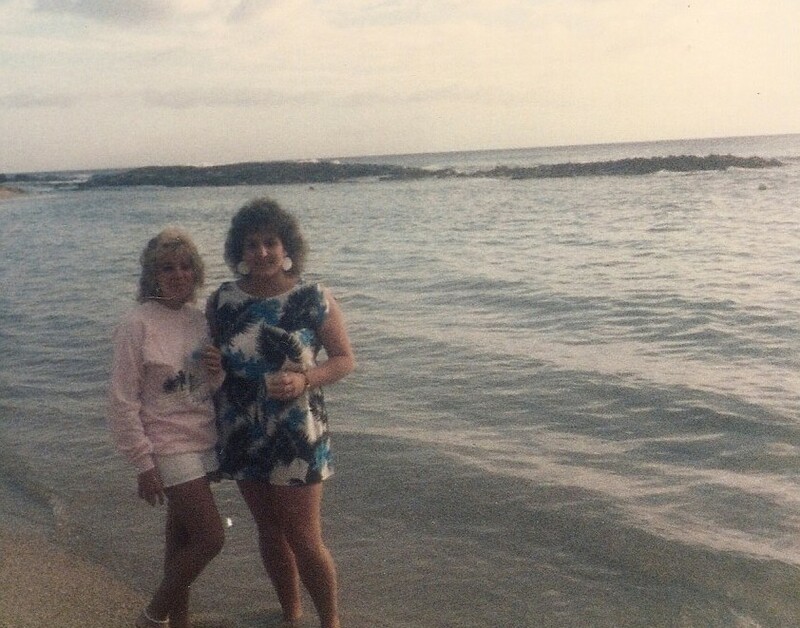 Lisa and I on the shores of Waikiki, 1985. During my senior year, my little friend Lisa (I was 5' 8", she was 5' 2") and I decided we weren't going to do Spring Break in Daytona like almost everyone else in my rural upstate New York high school. We wanted to do something different. I don't remember who said it, but one of us blurted out, "How about Hawaii?" We instantly agreed it was a great idea. So we immediately started making plans to go to Hawaii. It was the longest plane ride of my life. Thirteen hours. New York to Los Angeles to Honolulu. There may have been a stop in Dallas or Chicago, I don't remember. But it was a loooong friggin' trip. We stayed in Waikiki, at one of the Outrigger properties, not far from that hotel with the big rainbow on the side. It was the first time I'd ever been that far from home. It was a great trip, lots of laughs, and lots of good memories. It'd be over 30 years before I'd go back. Last year our cruise stopped at several Hawaiian islands, one of them Oahu, and while driving around Waikiki I tried to recall where we stayed, what we did, what we saw. It was Ed's first time to Hawaii - the only state he'd never been to - and he loved it. I certainly hope I don't have to wait as long to go back! 2009: I’m Going To Be A Millionaire!! !